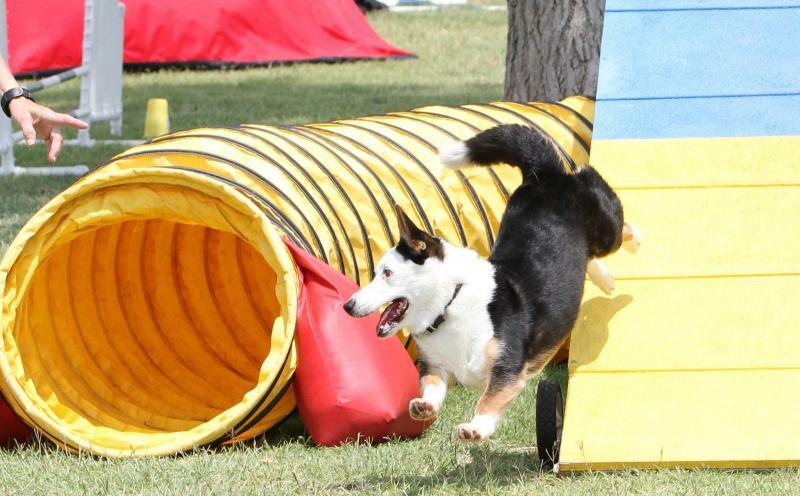 At Twister, we understand not all agility lovers can make it each week to Edmond for training sessions. In our distance learning options, we’re giving everyone the opportunity to have great instruction no matter where they live. Online Learning- Can’t make it out to Twister? Here’s your solution. In our online learning, Nancy will send you lesson videos of skills she teaches in her agility classes and will assign you homework. You will have the opportunity to practice those skills, ask Nancy questions, and submit video of your homework sessions for analysis, feedback, and further instruction. Online Learning Hybrid- The hybrid option is great if you live within a couple of hours of Oklahoma City. In hybrid, you schedule a private lesson with Nancy at Twister. In this lesson, Nancy will work with you and your dog on your particular lesson plan, answer any questions you may have, and assign you home work. After leaving Twister, you practice your lesson and submit video for analysis and feedback. Video Analysis- Do you have questions about a certain area of a course you ran? Are you having trouble with the footwork for a particular handling move? Are you having a bit of trouble with your running dog walk? Video Analysis can help. Many times a second pair of eyes can give insight into why something small is causing you so much trouble. In video analysis, you submit a short video of the problem area, and Nancy will give you feedback to improve your performance. Seminars- Want Nancy to come to you facility? With 17 years of experience, Nancy loves helping both novice and experienced handlers connect with their dogs. Whether it’s a foundations seminar, master handling seminar, or even a seminar about timing and footwork, Nancy loves to teach skills that help build a better relationship between dog and handler.